The annual Evening with Ohio Sea Grant and Stone Laboratory benefit event is set for Wednesday, Feb. 27, in Columbus. 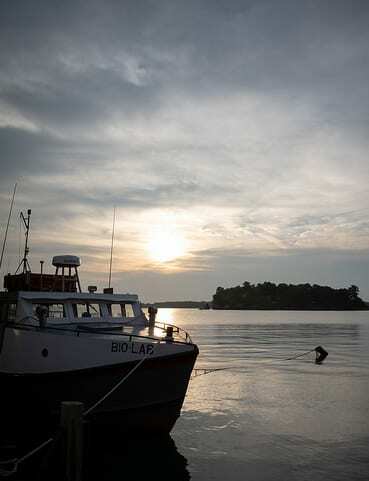 The two affiliated programs—Ohio Sea Grant is based at Ohio State; Stone Lab, located at Put-in-Bay on Lake Erie, is part of CFAES—conduct research, teaching, and outreach aimed at helping Lake Erie and water quality. The event will feature a silent auction and the sale of Stone Lab merchandise, with the proceeds going to support student scholarships; and presentations by some of the faculty, staff, and students from the programs (such as CFAES student researcher Harrison Fried). Admission is free and open to the public, but you’re encouraged to RSVP. Posted by Kurt Knebusch at 6:58pm February 22, 2019 Posted in On Campus and tagged Lake Erie, science education, water quality. Bookmark the permalink.